Snail Games is pioneering 3D mobile gaming technology, utilizing smartphone design and the innovation of gaming to create devices that do both. 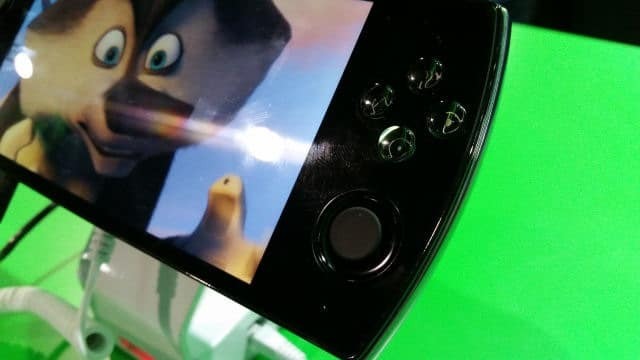 At CES 2015, Snail Games showcased both its 3D-capable W 3D mobile devices and its gaming console, the OBox. I had a chance to talk with Dan Doughty, Business Development Director, for Snail Games at their booth at the Las Vegas Convention Center. He walked me through the W 3D, discussed Snail Games’ partnership with Gameloft, and why nobody else comes close to what they’re doing. There’s many portable gaming devices on the market, like the Nintendo 3DS, Playstation’s Vita and most smartphones. 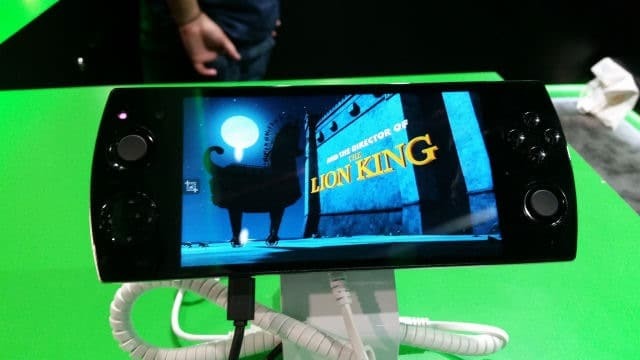 The problem with this concept is that there isn’t a single device that can play games well and function as a smartphone, until now, until Snail Games’ W 3D. When you first see the W 3D, as I did, you’ll be amazed by its size. If you’re held an iPhone 6 Plus in your hands, the W 3D looks gigantic. It features a 5.5” screen, which is becoming standard, but it also offers two joysticks. If you’re a left-handed gamer, the W 3D is the dream you’ve been waiting for, something Doughty pointed out when walking me through the mobile device. It also utilizes a directional pad, 4 pressure buttons, and four shoulder buttons. No matter what type of game you want to play, the W 3D has the controls to do it. One of the fascinating concepts for the W 3D is how it handles controls. Whether you’re playing a game you downloaded, emulating some of your favorite games, or playing a port, the W 3D will automatically map the buttons for you. While you can still map them yourself with built-in settings, it saves time when the W 3D can do it intuitively game-to-game. The screen itself is beautiful, offering a 1920×1080 display at 400 pixels-per-inch. You don’t need 3D glasses to take advantage of this 3D gaming device, it automatically adjusts – using the built-in front-facing camera – to give you a 3D gaming and viewing experience. As far as specs, the W 3D offers 2 GB of RAM, 16 GB of storage, a 13 megapixel front-facing camera and can support CDMA and 4G LTE networks. It also uses a 4000 mAH battery, offering up to six hours of continuous gaming. The W 3D also features a microSD card slot and two SIM card slots. 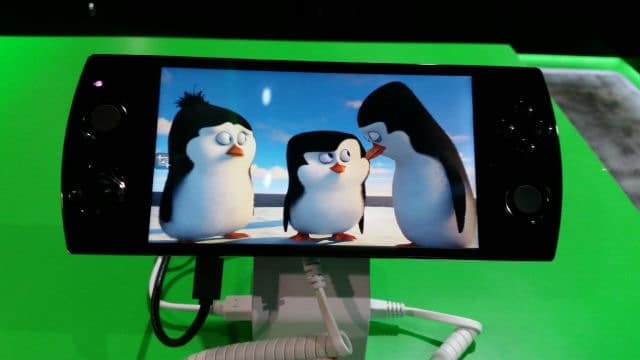 There are also two microUSB slots, which is unusual, but might provide the opportunity to charge the device while connecting it to a TV or other display. Doughty explained that the W 3D will utilize Android KitKat, although you couldn’t quite see that from the demo they were running. For now, the W 3D will be released in China later in the year, with more countries to follow. Doughty had no timeframe on when we’d see Snail Games’ splash in the US with the W 3D, but it’s partnership with Gameloft might propel that sooner than later. Overall, the W 3D felt good in my hands. It’s smooth to the touch, not as heavy as it looks, though it can be awkward to get used to initially. The two joysticks offer gamers the chance to play the way they want to, which’ll be especially appealing to lefties, but I can’t see how many people would seriously make a phone call with the device at its current size. While emailing, texting, IMing and even Skyping might be easy to do, or I suppose calls on speakerphone, I can’t imagine holding this up to my ear and calling home without feeling like I’m holding a tablet. The 3D viewing experience was beautiful to see, especially as you realized that it was picking up on your line of sight and introducing pictures in 3D. The demo allowed you to see a variety of content, giving you an idea of how 3D renders on the W 3D. 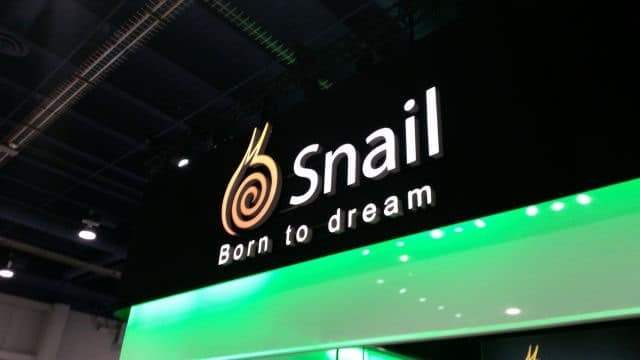 Snail Games, and Gameloft, announced a partnership at CES 2015 to introduce 3D gaming to the device and focus on content that consumers at all levels of gaming enjoy. Gameloft is one of the largest game and mobile app distributors in the world, and it will allow five of its most popular titles to be introduced through Snail Games’ devices and consoles. Doughty touched on the fact that no other mobile manufacturer or developer in the market is working directly with gaming companies to create devices that truly integrate the experience. This makes Snail Games different than any other developer bringing games to their devices. This is why Snail Games is confident they will win the gamer market in mobile. While Snail Games’ W 3D is impressive, it still feels a bit too clunky for the everyday mobile user. If all you’re doing is gaming, the W 3D will be a force to reckon with compared to other devices. Although, if you’re looking for an all-inclusive mobile experience, you might be waiting a bit longer for a device that can do it without be bigger than the iPhone 6 Plus. Snail Games’ vision is sound, whether it can be executed, especially in the American market, is yet to be seen. We’ll be waiting.